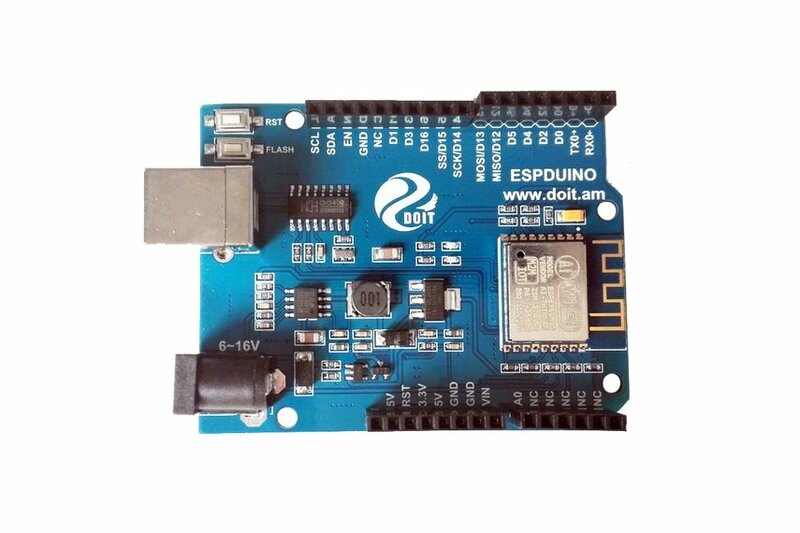 ESPduino is developed by Doit company based on the ESP8266 ESP-13, which can be compatible with Arduino UNO R3 developmen board. By using the ESP8266 WiFi and MCU, ESPduino supports WiFi. Compared to the traditional Arduino UNO development baord, users don't have to buy another WiFi development board. Press the FLASH button firstly and don't loose your hand, then Press RST button about 6s. Then loose your hand. 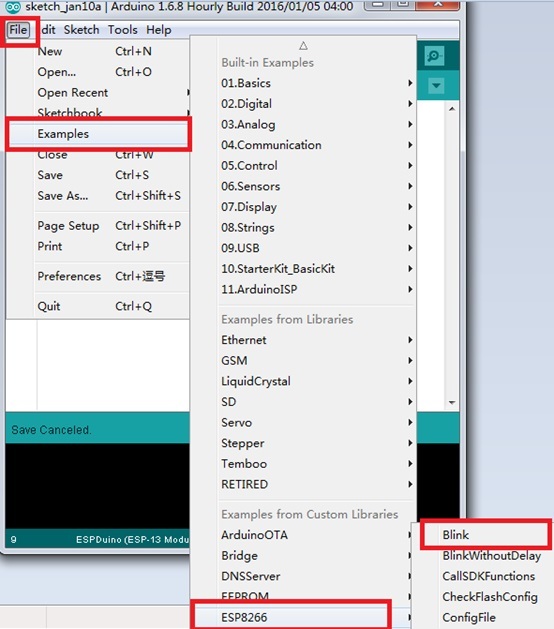 After that, you can upload the Arduino code to the ESPduino development Board. Choose the port by the computer. 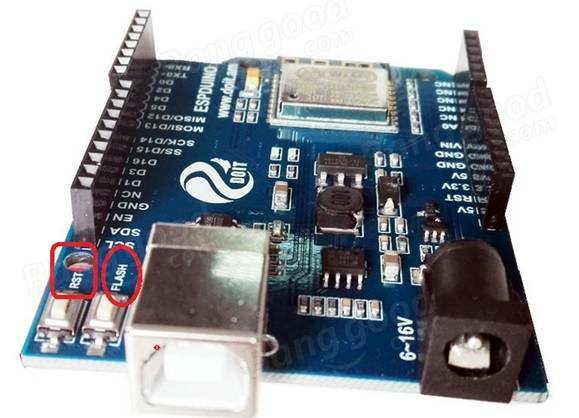 Upload the Arduino code to ESPduino development board. 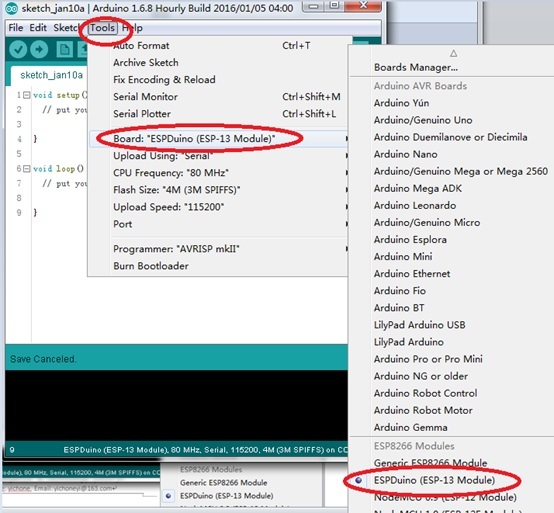 you can build up the Arduino IDE by the following github link. Note that, the newest updated information, also can visit the above github link.